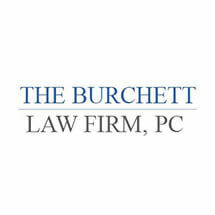 I am San Diego attorney Brian Burchett, founder of The Burchett Law Firm, PC. My practice is dedicated to pursuing maximum compensation for the victims of negligence and malpractice throughout Southern California. From auto accidents and defective products to medical malpractice and environmental poisoning, I have the legal knowledge and skill that clients require to resolve their concerns. Experience — I have been practicing law for more than 30 years. Caring, personal service — Clients can rely on receiving empathetic, one-on-one counsel and representation through every step of their cases. Instead of becoming lost in a bureaucracy of lawyers and paralegals, clients will deal directly with me. Strategic knowledge — I have several years of experience defending insurance companies against personal injury claims, giving me insight into how to combat their tactics. Results — I have successfully obtained multimillion-dollar verdicts and settlements for clients. This is one of the reasons I was named one of the 100 Best Trial Lawyers in California. To arrange a free case evaluation about any personal injury, medical malpractice or wrongful death matter in San Diego or the surrounding areas, call The Burchett Law Firm, PC, today. I look forward to speaking with you.